The director seems to be slipping. That or he shouldn't have touched the sci-fi genre. Clooney plays another cool character and Sandra here really put in her A game. Nothing spectacular to view it again and again. It has thematic's of the importance of spending time with loved ones and emptiness of space. Had a couple of tense moments and gorgeous cinematography, other than that ajust another average science fiction movie. A film about overcoming fears and finding your way, both literally and figuratively. Sandra Bullock's character must overcome her fear of living without her child and she must find her way home, from space and from work. Instead of just driving around in circles, she must go home and live her life. Though some thing tragic happened in the past, don't let it define you. One of the few films out there where the 3-D technology really enhances the moviegoing experience. 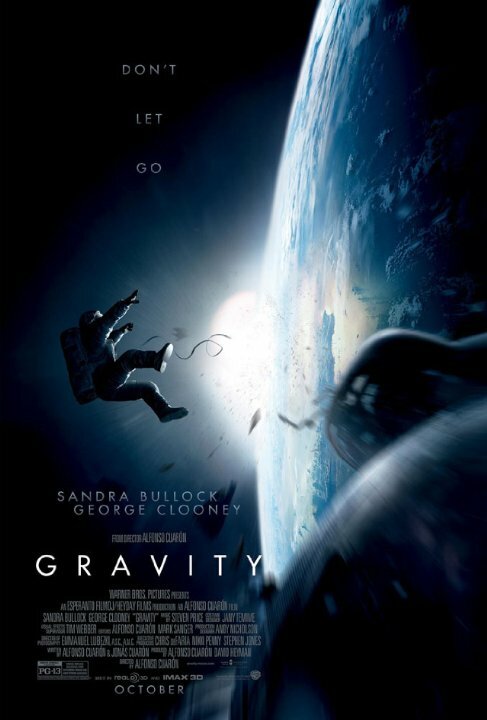 Sandra Bullock gives an Academy worthy performance as an astronaut stuck in space. And George Clooney plays himself, which is always brilliant. Overrated. This is a pretty decent movie but it is just simply too unrealistic but it tries to be realistic. It starts off incredible with some great action, some scenes we have never seen before. Then, as the story unravels, it becomes more and more unbelievable. Clooney is superb in the supporting role. There are a few scenes in this movie that are incredible. But, Mission to Mars is better. In visual terms "Gravity" is overwhelming with those images of the Earth. The infinity and immensity of the universe is beautifully put into the picture . The insignificance of man in this intolerable environment gives you a constant tightness . However, I think that you only get that overwhelming feeling when you watch this movie in the cinema. On a normal LCD TV in the living room there's not much left of this space spectacle. And that's quite a damper on the expected experience because the story on its own isn't really that much of a deal. I think it's a great achievement to create such an entertaining film with this simple story and only two characters constantly on the screen. Many movies spend their time focusing on visuals and sound. No movie suits this case better than Gravity, which had a strong start with amazing detail and auditory background. If there is one thing great I have to say about Gravity, it is the visuals. The makers of the film knew how to execute the visuals absolutely gorgeously. The same goes with the sound: crisp and perfect. Gravity didn't make me bored. Its really a great movie. If anybody wants to get the perfect satisfaction of this move, he has to watch it going theater. Home theater is not so perfect for this movie. Sound, special effects, script everything is outstanding. 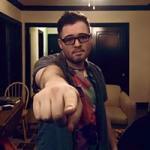 (Owen McKenna Rio Rancho, NM)Chris, I also rate Gravity as my favorite film of last year. I thought the special effects were great. I am hoping to pick up the blue ray on the 25th. I have some friends that want to get together and watch it, but I too wonder if they will appreciate it as much as I did&amp;nbsp;viewing it&amp;nbsp;on a home theatre system. I guess we will see next week.